Following the emergence of two debut tracks earlier this year – “Everything Ends” and “Ornament” – Newcastle indie-rock act Blank Maps are preparing to release their debut single “Lucky Dip”, which is set for release on October 14. Though Blank Maps formed n Newcastle, its members hail from all corners of the UK; Newcastle, Sunderland, York and Oxford. The band formed in 2010 following a degree course performance and a decision to become ‘a real band’. The quartet then spent the next two years of gigging, writing and polishing their textured soundscapes. “Lucky Dip” will immediately draw comparison to Foals with its combination of math-y guitar noodling and soaring, sweeping ambient delay-driven guitar. There’s also a Vampire Weekend-like sway throughout the verses while its chorus is stadium-sized and emotion-driven with Thom Piddock’s falsetto applying the icing on the cake. An interesting element is how the song teases the listener that it might explode at any moment, which is never quite does, however the mood and anticipation it creates makes up for it. “Lucky Dip” has the hooks, the emotion, as well as interesting musicality and a sleek production to boot, making it an understated but great little tune. The new single “Lucky Dip” will be released on 14 October on Tiny Lights Recordings. 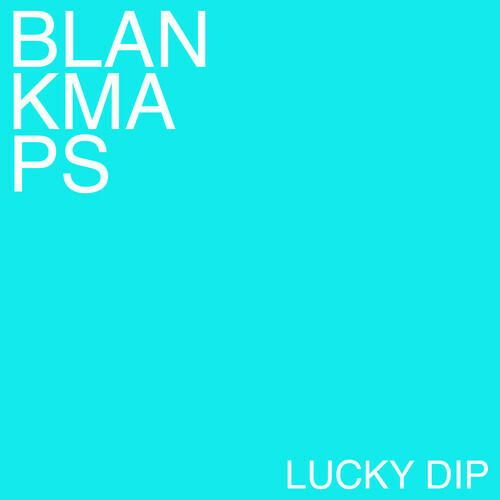 Update: 2 October, 2013: Ahead of the release of the ‘Lucky Dip’ single, Blank Maps are giving away the single’s B-side, “Calm” for free via the Blank Maps Soundcloud.